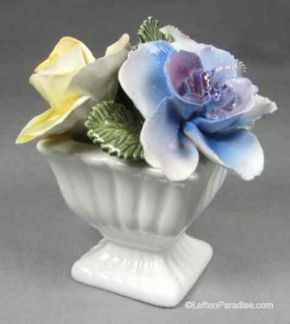 Bone China Vase, Flowers Discounts Apply ! A small square white vase with china flowers. The flowers are not removable. It stands 3½ inches tall and has a crown logo. There are no flaws on this bone china piece.